News and information useful to Cleveland-Marshall College of Law students, faculty and staff. Law Library Legal Research Seminars – Earn Your Digital Badge! Ohio Legal Research “Crash Course” – Coming soon! For more information on the Law Library Legal Research Seminars, contact Laura Ray, Outreach & Instructional Services Librarian. Category Bloomberg Law and HeinOnline, Free Web Research, Health law, Legal Writing and Citation, Lexis and Westlaw, Library News and Events | Comments Off on Law Library Legal Research Seminars – Earn Your Digital Badge! Students, do you have a bit of time before or during the upcoming Thanksgiving break? Why not refresh your research skills and take a few Law Library Legal Research Seminars?! The Seminars are conveniently available online, via the Westlaw TWEN platform. You earn points for completing a Seminar by correctly answering 3/4 of the questions on that Seminar’s quiz. Your Seminar points are good for the entire time you are here at C|M|LAW. When you earn 100 points, you are awarded a Law Library Legal Research Letter of Recognition and a Digital Badge, which you can post to your LinkedIn page. You can earn multiple Letters and Digital Badges. Conducting federal legislative history research can be a daunting and time consuming task. However, for many pieces of legislation, much of the work has already been done. Compiled legislative histories are published collections of bills, reports, hearings, and other documentation from the creation of a particular act. Hein Online is one source for compiled legislative histories. Hein has an extensive collection that researchers may browse by Publication Title, Public Law Number, or Popular Name, or may search using the bar at the top of the page. Hein is continuously adding more compiled legislative histories to the collection, and recently added two: FOIA Oversight and Implementation Act of 2016 and 21st Century Cures Act. ProQuest is another source of compiled legislative histories. Users may click on the Legislative Histories link on the homepage and then enter search terms in the field. Hein and ProQuest are both accessible off campus with your CSU ID and Scholar PIN. 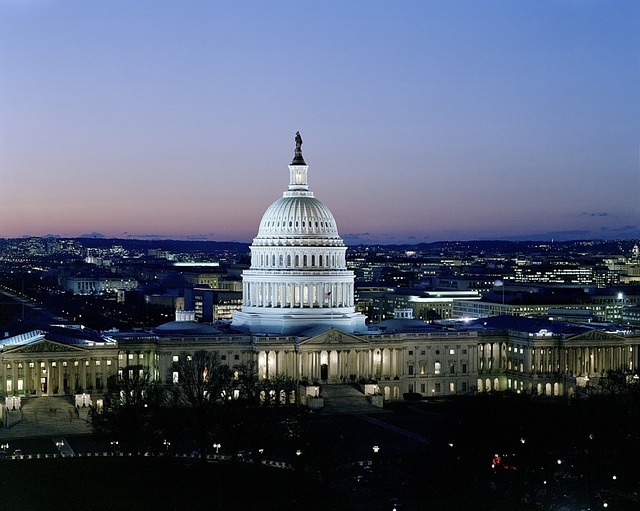 For more on Federal Legislative History, check out our research guide. Hannah Capitol Connection for Ohio legislative history research is available remotely for Cleveland Marshall students, faculty, and staff for educational use only. Use the link in this post or from the library webpage (under Law Databases); get access from home using your CSU ID and PIN. Capitol Connection provides one-stop shopping for Ohio legislative history documents corresponding to bills and acts from 1989 forward. For more information on researching Ohio legislative history, see our Legislative History Research Guide. The Library of Congress announced on September 17, 2018 that a new website is now live, making reports from the Congressional Research Service (CRS) available to the public. The CRS is Congress’ nonpartisan “think tank” that conducts research and publishes reports for Congressional committees and Members of Congress. The experts and researchers at CRS provide analysis of an extensive range of topics. The thorough and nonpartisan nature of CRS reports makes them a valuable source on important and current topics for anybody, including legal researchers. CRS reports can be useful for legislative history research because they provide unbiased background information from a legislative perspective on issues before Congress. Despite the fact that CRS reports are taxpayer funded, these reports were only made available to legislators. Some reports eventually made their way out to the public, if a congressional staffer chose to share. Recently, efforts had been made to make more reports widely available to the public with websites such as EveryCRSreport.com working to collect and share over 14,500 CRS reports. The new website from the Library of Congress serves as an official source of CRS reports, with over 600 of the active reports available at launch and more being added over time. Users may enter keywords to search the database or browse the index by clicking the search button without entering terms. For more on legislative history or additional law and policy sources, check out our Legislative History Research Guide and Free Online Legal Research Guide. Dignity 1.0. WPMU Theme pack by WPMU-DEV.